Are you getting tired of me yet? Thank you all for your wonderful compliments on my class homework, which just encourages me to keep on creating and posting so, really, it's not my fault, it's your fault. Convulsionary logic at its best! But, seriously, it's nice to be able to have a free week to take the class and do my homework the same day. That hasn't happened in the past, and I have found it hard to disciple myself to go back and do it at a later date. So, well. 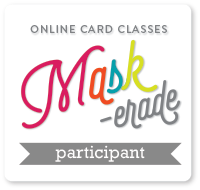 We really swam into the deep end of the masking pool yesterday at the Online Card Class: MASK-erade course when we tackled liquid masks. After a lunch of brisket, we used our frisket. Sorry, these things just come out of my fingertips. I realize now, looking at the monitor, that this wasn't a very good stamp to use for this masking technique because I could have just sponged my sky and then stamped the cone flowers over it in black ink. Geesh. All that work of applying the liquid mask and waiting for it to dry ... sigh. I used bumpy watercolor paper so you can tell by the uninked white areas of the flowers that I did, in fact, use a mask or the sponged blue inks would have colored in those uninked areas of the flowers. It was good practice and I think I picked a better image for the concept on my second card. 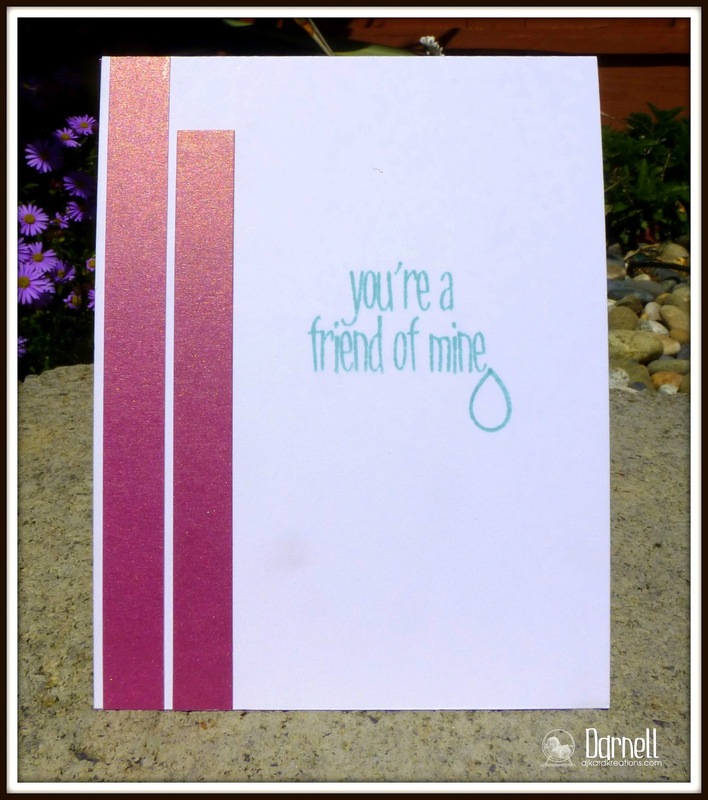 Anywhizzle, for this card, the pretty metallic raspberry paper is from a DCWV pack. The cone flower is from SU ("Inspired by Nature") inked in Archival black on Ranger watercolor paper and the background was sponged with DIs. Water droplets were smattered about. Although it doesn't show well, I also sprayed a fine white mist all over. In the masked area, I stamped the NBUS sediment from The Stamps of Life "Umbrella4you" set. I covered the cone flower with Modge Podge and added some rain stones to complete the front. It kinda looks like creepy fingers in the closeup to show you the sparkle. You'll have to use that awesome imagination of yours to add some creepy dramatic music right now. Shopping Our Stash: Play misty for me. Speaking of friends, I'd like to wish my friend Ardyth (of "Maskerade!") a very happy birthday today and many, many more! Enjoy your special day!! MWAH! This card gives you a better idea of how amazing liquid masks can be for doing watercolor washes across the whole front of your card in smooth stroke lines, rather than painting up to and around an image. Not to mention that a paper mask would get soaked and allow for seepage. Ew, seepage. Again I spattered water and white. You can better see the white droplets on this card. 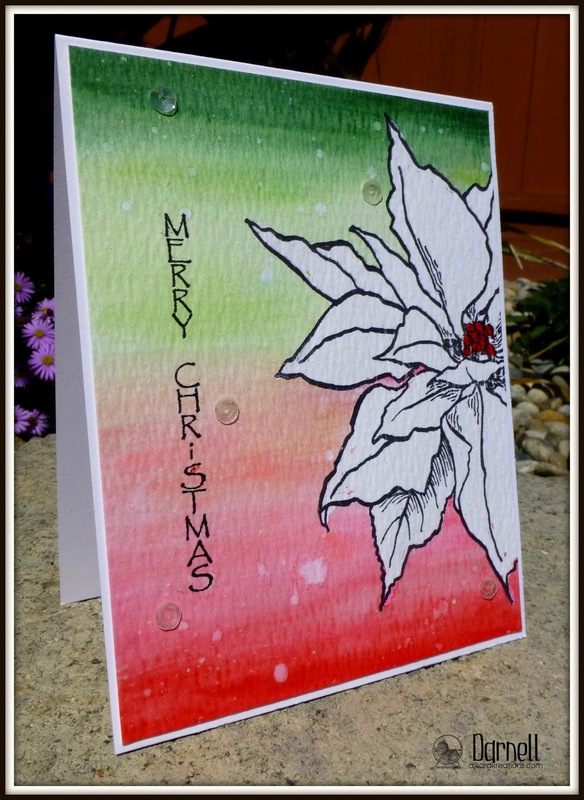 The stamp is "Jumbo Poinsettia" by Stampendous. The "Vertical Merry Christmas" is by Paper Inspirations. You may not be able to see that the center pips of the poinsettia are plumped up with Modge Podge. 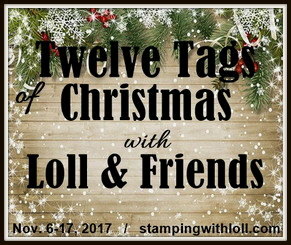 Rudolph Day Challenge: Anything goes, Christmas. Christmas Card Challenges: Anything goes, Christmas. I'm off to class, skipping to "a tiskit, a brisket, a green and yellow frisket!" FAB makes and .... been there and done that - with the masked when I didn't need too but oops just as well I did! Two more beauties Darnell! Good job keeping up with the homework! I will never get tired of seeing your creations - loving watching this class through everyone's home work! Thank you for the birthday wishes (and the birthday card and the birthday gift!) - I'm having a lovely day - it's sunny and warm and just about perfect! You're such a good student...doing you homework so well and on time. (I haven't even had time to open my first lesson.) Anyhoo, really like the effect on the first card with all that shine and shimmer. The second card knocked me flat. You have learned you lessons well. Had such a good giggle today reading this post! Your Christmas poinsettia card sure proves the point of this masking technique. The effect is beautiful!!! Thanks for taking part in the May Rudolph Days Challenge. Oh, my goodness! You have certainly made some beautiful cards. Thanks for the inspiration! 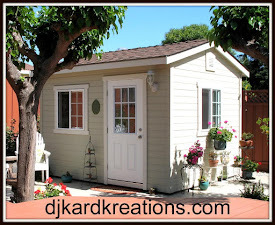 Keep those gorgeous creations coming, I am taking the class vicariously through your posts! Beautiful cards, very inspiring!! I'm very much enjoying the class as well, lots of fun and great techniques!! Wow, what a card! The first drops of rain has stopped and look stunning, and the other card has the magic of Christmas ... I love both cards because they are wonderful. A fabulous first card and 'Space Oddity' music comes to mind. lol. Love the background and the image. 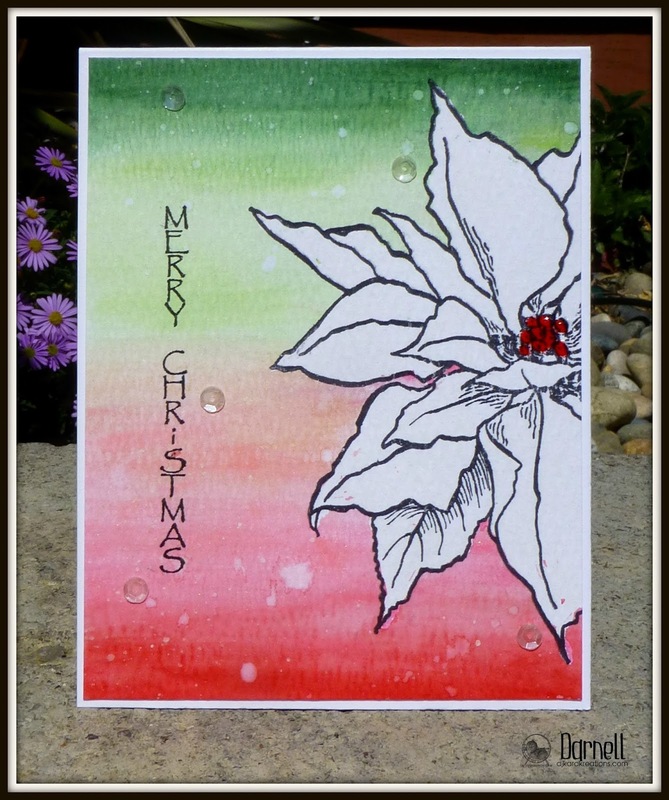 Gorgeous Rudolph Day card, love the poinsettia especially in white for a change, great background and little droplets. Thank you for joining in this months Rudolph Day challenge. 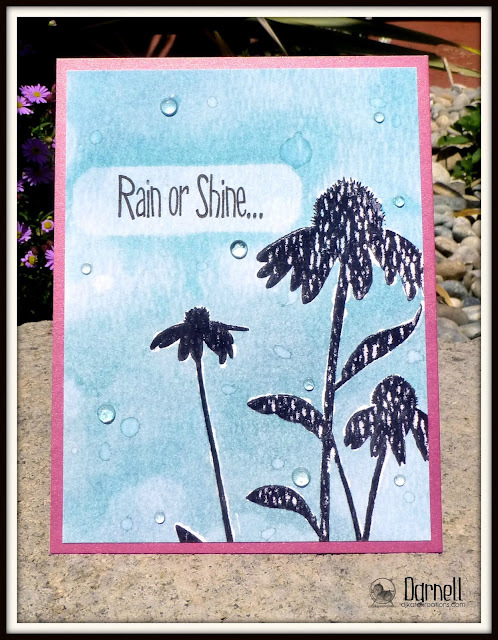 Two absolutely gorgeous cards...love the look of the rain, so sweet and now if you could send that message to the rain Gods over California...just beautiful my dear friend. See you soon! Wonderful cards, Darnell! Great use of masking fluid - I have never tried this. Your results look beautiful! I hope you can continue to get your homework done to share what you are learning! Fabulous card, Darnell. I especially like the poinsettia. I didn't sign up for this, but I wish I had. I just have no time right now and like you, if I don't do it then, I rarely go back. If I sign up when I have a week off, I'm good. Two more lovely cards, I have never tried this technique but it looks brilliant. I like the Christmas one best, the colour wash background is fabulous. You are really highlighting this on line class Darnell. Keep the cards coming, I think I need to go buy some frisket brisket or whatever its called. Back from mum and dads and really ready to craft when I get back from work today. Your second card really shows how well this type of masking works, will be interesting to see if I can achieve the same look without leakage. Great cards Darnell. Isn't this a great class? So fun. I'm so proud of you for getting your homework done. I thought I'd have the time too when I signed up but have only done Day 1. Your poinsettia card is outstanding, Darnell. I've used rubber cement on earlier cards. Too bad I can't just post one of those. Gorgeous cards Darnell, the rain splatters look very much realistic, I was looking at it again and again!! Between the water droplets and the rain stones, you really captured the feel of rain with your background. I really like the raspberry paper with the blue. The Christmas card is stunning. I love the red and green ombre effect you created. And the poinsettia is so pretty. The masking technique really lets it stand out. Beautiful. Love your fabulous cards, especially the one with the big poinsettia. Thanks so much for joining us at Christmas Card Challenges. Thanks for sharing your homework! Now I've got cheat sheet for some pretty cards!!!! Your are doing a great job!!!! Your cards certainly are beautiful! You are doing such a great job keeping up with your homework! Thaanks for sharing your creations with us! How gorgeous! Two cards with an amazing look! I've never tried this technique! Great cards - looks like you having a fab time in class! The backgrounds on both are gorgeous. 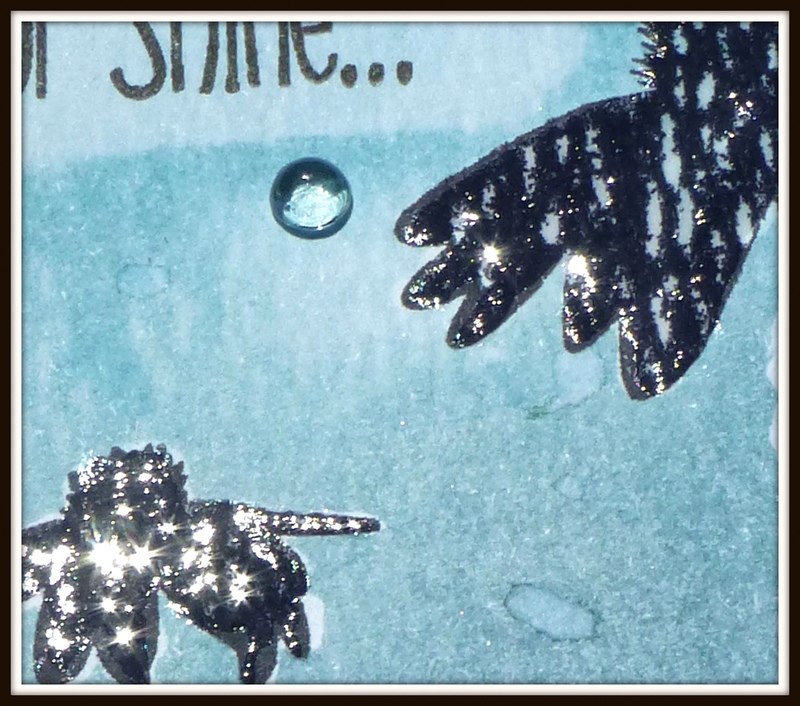 Love the water drops on the first card too :) I have never tried masking fluid but may just go and investigate! Two great cards for sure here, Darnell. So glad you are enjoying the class and are able to get your homework done in a timely manner. The results are fabulous for sure! Keep up the great effort! Go to the head of the class, Darnell! Two great examples of masking! I've tried a little of the liquid masking and my masking fluid but only on very small spaces. That poinsettia is awesome! Oh My!! I love these. Both of them are awesome. You are a clever tart aren't you!! I have got some masking fluid somewhere. Maybe I can get Fergus to pootle round and find it for me! Time I gave it a try. PS Is Hammy ok now? I am worried I frighted him and he won't talk to me. Wow... nuff said, it's just WOW! 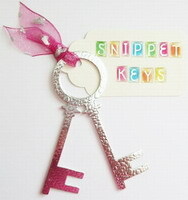 So, I'm thinkin' that you are definitely the "Teachers Pet" in this classroom! Two more ah-mazing creations pal! 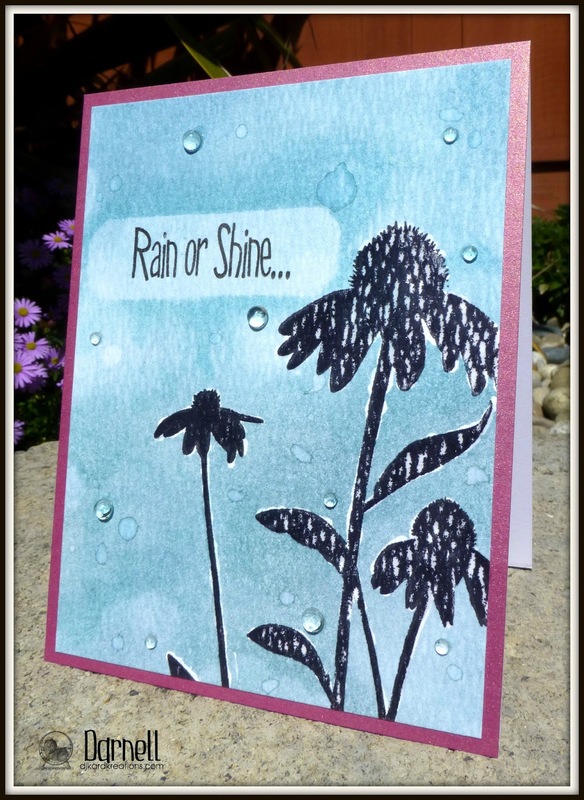 The background on your cone flower card is breathtaking, especially with the water droplets and the gorgeous color of the card base! Nice sparkle too. Second card - STUNNING! Beautiful seamless blending between the red & the green! LOVE the bold pop of red in the centre of the poinsettia! Okay, you started this. You had brisket, then used the frisket and on that first card you "mist" it. Seriously, I love the cards you're making. You are nailing these techniques. The Christmas is really pretty with the soft colors. Great homework! Looks good again; especially the second card is my favo... Enjoy the weekend! How fun that you are able to keep up so well with the homework on this class. Your cards are fabulous but the second Christmas one just knocks my socks off. Darnell, you are wowing me more each day, just amazing cards! Beautiful project and just perfect for our Play Misty For Me challenge this week at Shopping Our Stash! I just adore your Christmas card, Darnell! Maybe I will have to start using masking fluid. Have never used liquid masks before. Actually, I've only done normal masking once or twice...should have done this class shouldn't I? Love your cards, especially the poinsettia, the colours are gorgeous!! Fab cards Darnell!! 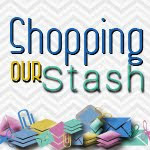 Thanks for playing along with the SHOPPING OUR STASH crew this week for our "Play Misty for Me" challenge!! WOWZERS!!! You are rocking your homework and impressing the socks off of me!!! 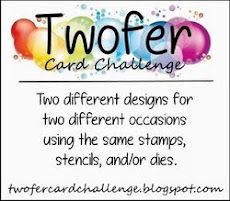 What special cards you made today both with beautiful backgrounds and luscious focal points - superbly done!!! Two very different and pretty floral cards, Darnell!